Paris in the Fall . . . Ooh La La! 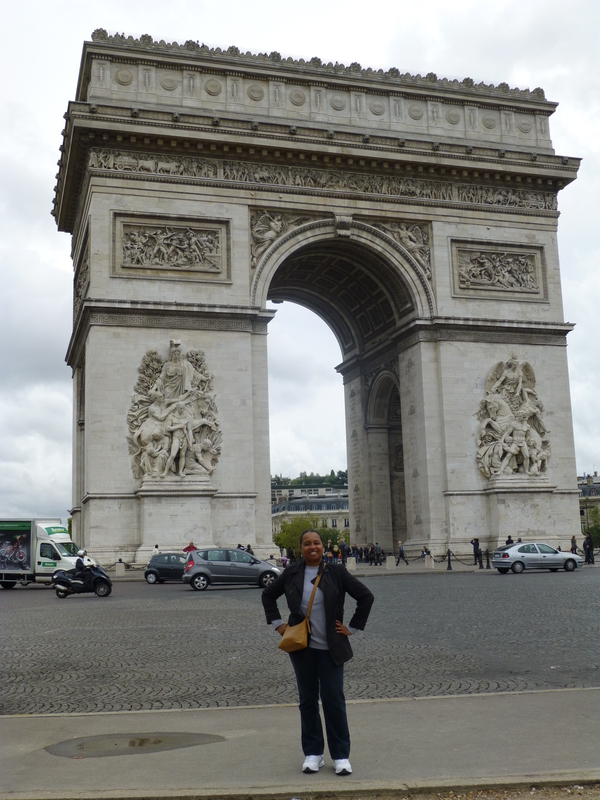 I traveled with my sister in mid-September 2012 for a week of fun in the City of Light. 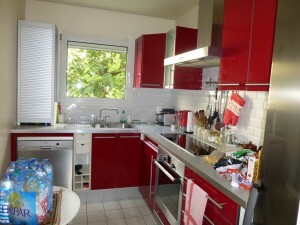 We rented a one-bedroom apartment in Le Marais – 3rd arrondissement (Paris Roses). 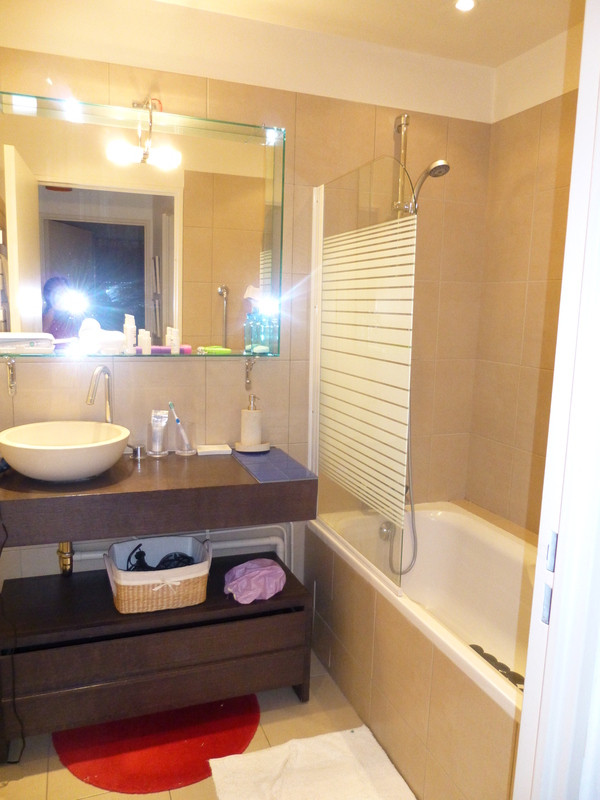 The location was great and it was a convenient base from which to explore the city. Here’s a synopsis of the trip . 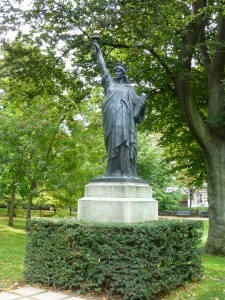 . .
After 13 hours of travel, we arrived in Paris on Saturday morning. We got through customs fairly quickly and hailed a taxi for our trip to the city. 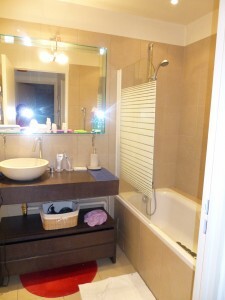 We arrived at the apartment about 30 minutes later and were pleased with its size and décor. After looking around the place and freshening up, we left to find some breakfast. We found a café a few blocks away and there I was introduced to my first “cup” of French coffee. I was a bit surprised by the teacup size and drank it in about 3 gulps. I had a light meal of French bread and butter, which was fresh and enjoyable. After breakfast, we walked around the neighborhood to get a sense of our surroundings. We tried to stay up, but grew more and more tired, and eventually returned to the apartment for a nap. We woke up 4 hours later feeling refreshed and ready to take in the sights. We headed out to Rue de Rivoli for some shopping and sightseeing. I enjoyed all the small, independent shops and it made me sad for what shopping has become in the United States (big box store heaven). We had dinner at a Thai restaurant and our first glass of wine – a rosé — both of which were delicious. On Sunday morning, we decided to go the Lavage de Madeleine, an annual Brazilian parade held in September, which courses though the main streets of the city. 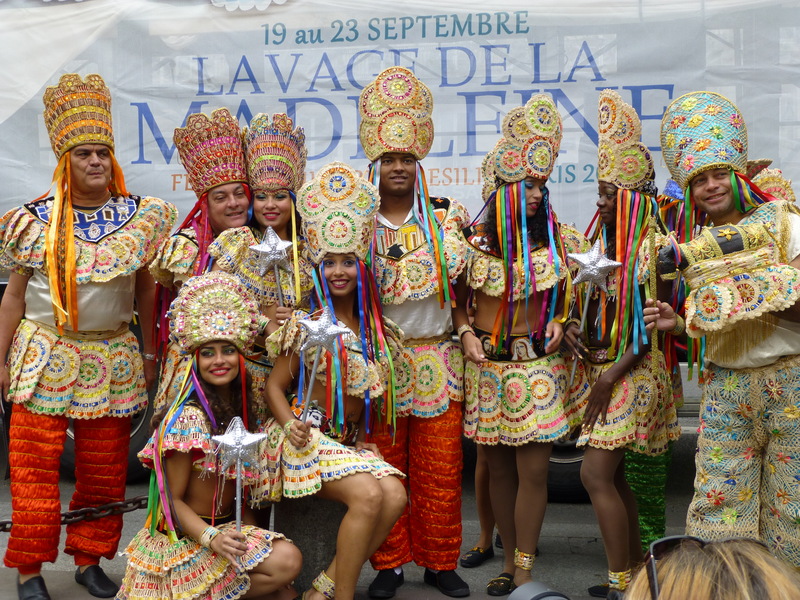 There were drummers, dancers and musicians leading the way to the Church of Madeleine for the traditional foot washing on the church steps. We had a great time and it was a welcome introduction to Paris’ diversity. 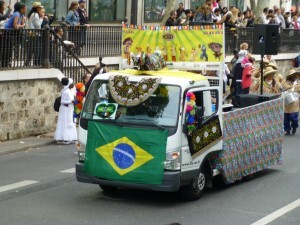 After the parade, we ate lunch and then hopped on the Metro for the 35-minute ride to the Chateau de Versailles. We planned a late afternoon trip hoping for smaller crowds, but we learned that when it comes to Versailles, there’s nothing small about the crowds or the grounds. Pictures don’t do it justice, and its size and opulence is unbelievable. Versailles is an amazing site and a must do, in my opinion. Just be prepared for long lines, lots of tour groups, rude people, and sore feet. 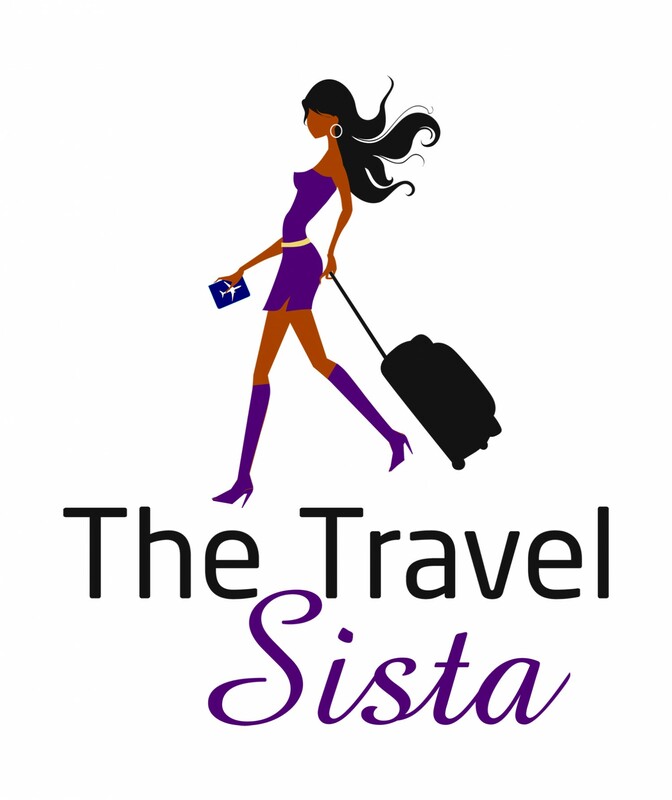 Unless you have the stamina of the Energizer bunny, this should probably be a two-day trip – one day for the main chateau and gardens and a second day for the outlying palaces and gardens. We only made it to the main chateau and some of the gardens, and we were exhausted at the end of our visit. 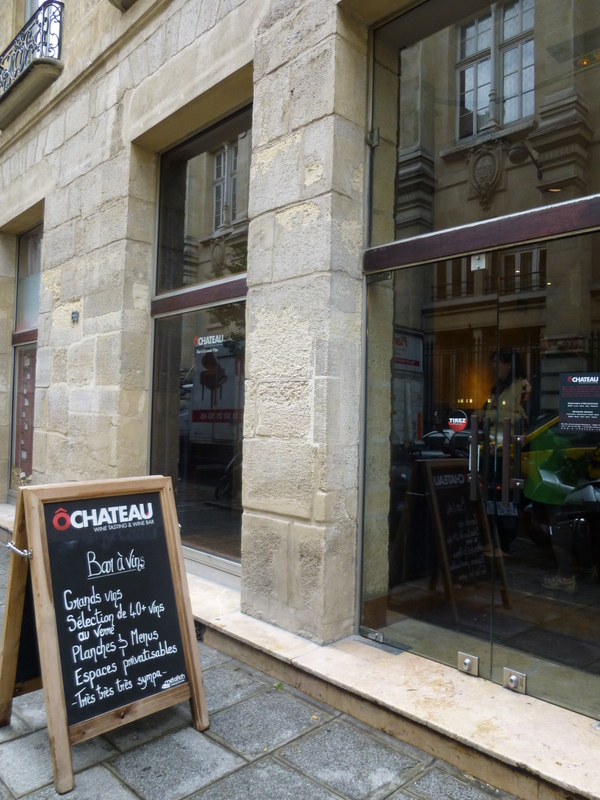 We headed back to the apartment for some rest, and then had dinner at a nearby restaurant, Le Petit Italien. We also had more wine – red this time. After two days of constant activity and little sleep, jet lag got the best of us on Day 3. We forgot to set the alarm and slept until 2:00pm. Even though we got off to a late start, we still had a full day of activity. 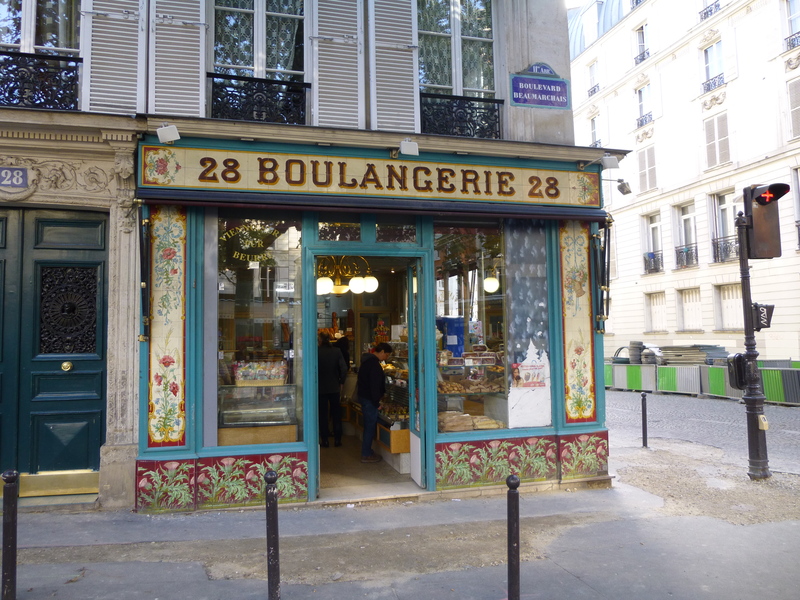 On the way to the Metro, we stopped at the nearby Artisan Boulange for croissants. They were so tasty that this would become a daily morning ritual for me. 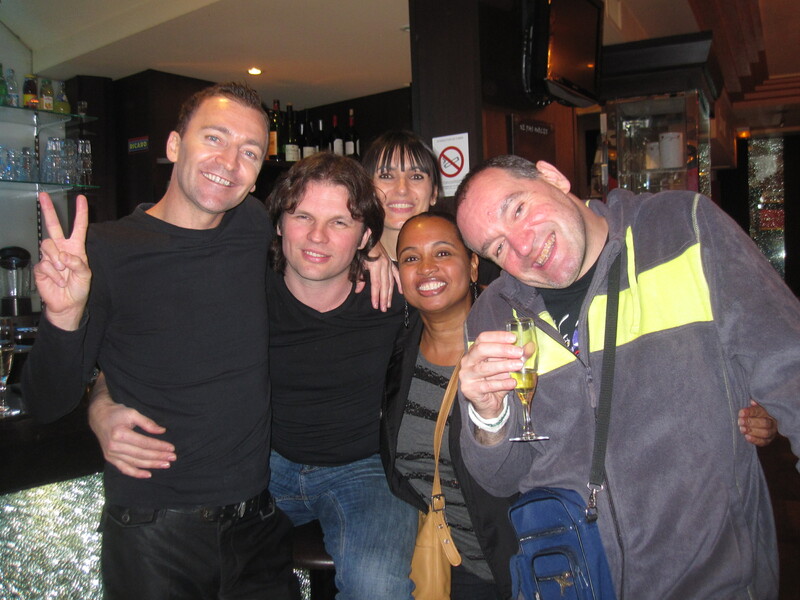 We took the Metro to the 4th arrondissement, walked to the Bastille for photos, then planned to head to Notre Dame. After about 15 minutes, we discovered we were walking in the wrong direction and turned around. 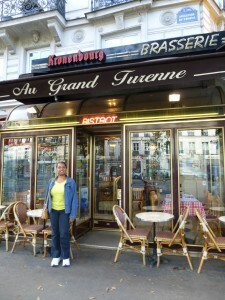 Fortunately, we stumbled upon Au Grand Turenne, a cute café in the 3rd, and stopped for a late lunch. Our waitress, the food and the wine were great, and this turned out to be one of our best lunches. 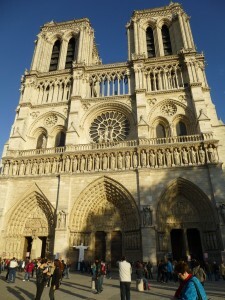 After getting back on track, we made it to Notre Dame in time for the 6:15 pm mass. Although my command of French was not good enough to understand the whole mass, it was interesting to watch. I was surprised that tourists were allowed to walk through the church and take photos during mass. After we left Notre Dame, we took photos of the nearby Palais du Justice, then walked over to St Germain des Pres (6th arrondissement). 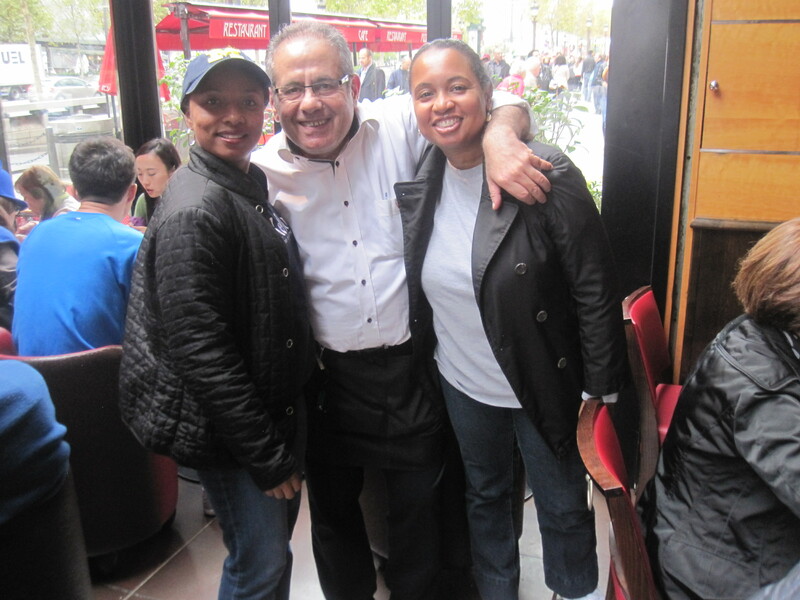 We explored the area, did some window shopping, then stopped at a café to drink wine and live like Parisians. The area was very vibrant, with lots of people walking, shopping and patronizing the cafes. We spent a few hours drinking wine and taking it all in. Our first stop was the Arc de Triomphe. We took photos, and then walked up and down the Champs Elysees and surrounding area. The area was teaming with lots of people and high end shops (think Gucci and Louis Vuitton), which made for good window shopping and people watching. We ate lunch at Pizza Vesuvio and had a great smoked salmon pizza, with red wine. 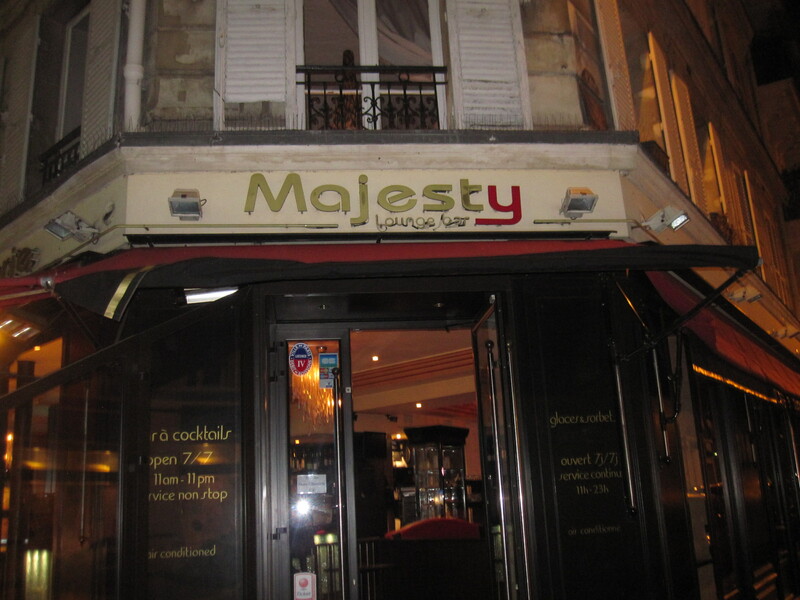 Their waiters have been described as bossy, but we had a fun time joking around with ours – who spoke French, Italian and English. We took a photo with him before we left, then hopped on the metro and headed back to the 3rd. On the way to the apartment, we stopped at Amorino for gelato (I had lemon and my sister had mango), which was fresh and yummy. This was an extra busy day. 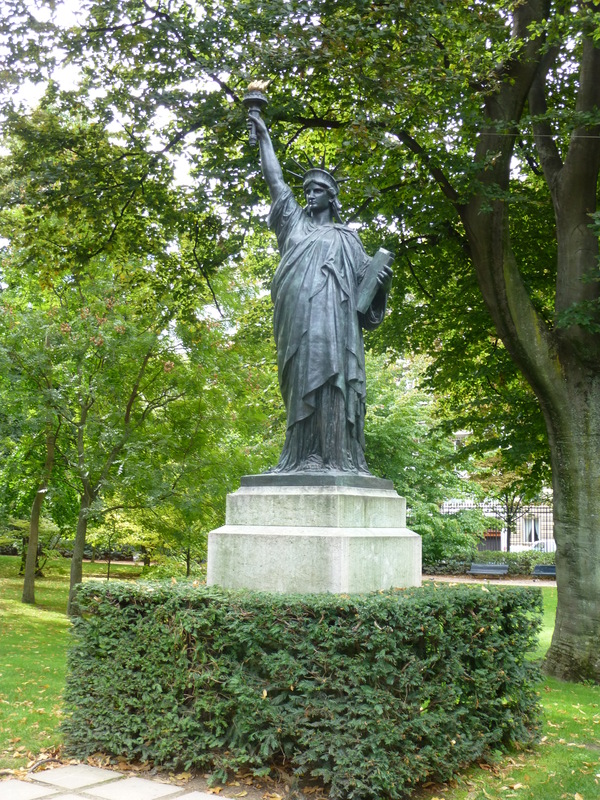 We started off in the morning at the Luxembourg Gardens, which were beautiful. It was a great place to relax and “smell the roses” before the hustle and bustle of the rest of our day. Since we were close, we walked over to the Pantheon and the Sorbonne University for photos. 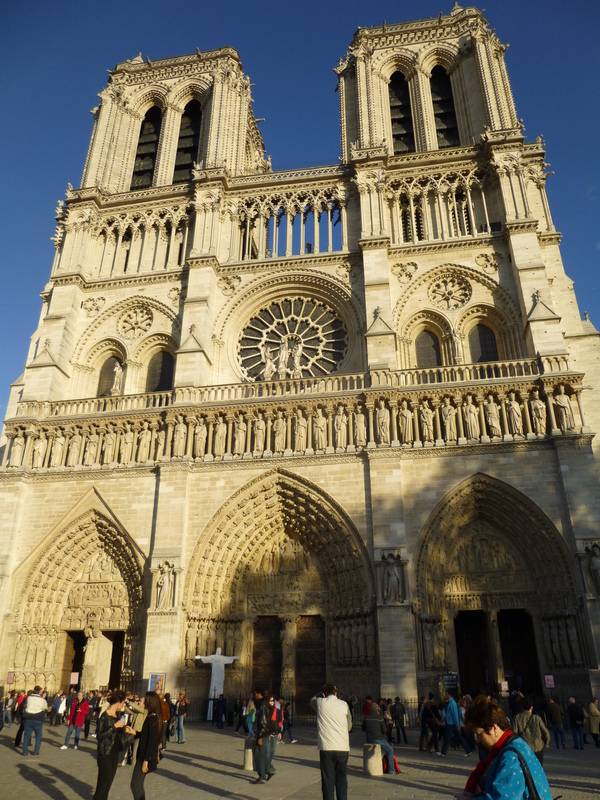 We then walked around the Latin Quarter a bit, and took the Metro to the Eiffel Tower, where my sister had a 4:00 pm reservation to ride to the top. 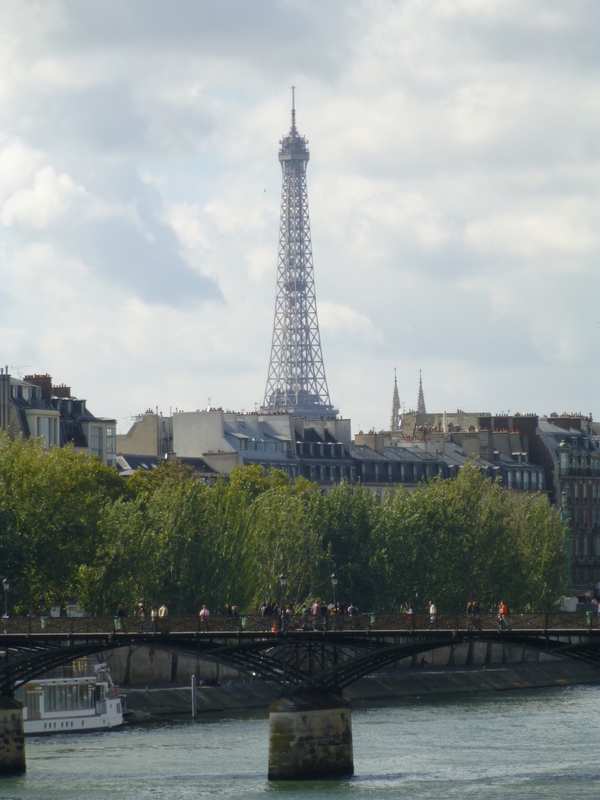 While she traveled up, I stayed below and took photos of the Eiffel Tower and the River Seine (I’m afraid of heights and was not in the mood to conquer my fear that day). Unfortunately, 20 minutes after we arrived, the skies opened up and it poured down raining for about 45 minutes. My sister was bummed that the weather was crappy by the time she made it up, but said the views were still amazing. Next, we took the Metro to the Louvre. I’d seen the Louvre on television, but you really can’t grasp its sheer size and magnitude until you see it in person. You could easily spend a week there alone! We arrived around 7:00pm and planned to stay until close (it’s open late, until 9:45pm, on Wednesday and Friday). We entered through the Carrousel at the Metro stop, bought tickets from the ticket machine, and walked right in – no wait at all. We started in the Greek art section and eventually made our way to see Venus de Milo. There were only about 10 people in the room, so we walked right up to see and take photos. I love Egyptian art, so we went there next. The collection spans several floors and is incredible. Next, we headed to the highlight of the Louvre – the Mona Lisa. Once again, we walked right into the gallery, where there were about 15 other people. I couldn’t believe I was actually standing in front of the famous art piece I’d read about since a young kid. It took me a minute to digest it. We ended our visit with the newest exhibit, the Art of Islam, which had just opened one week before. The exhibit had some amazing ancient pieces. 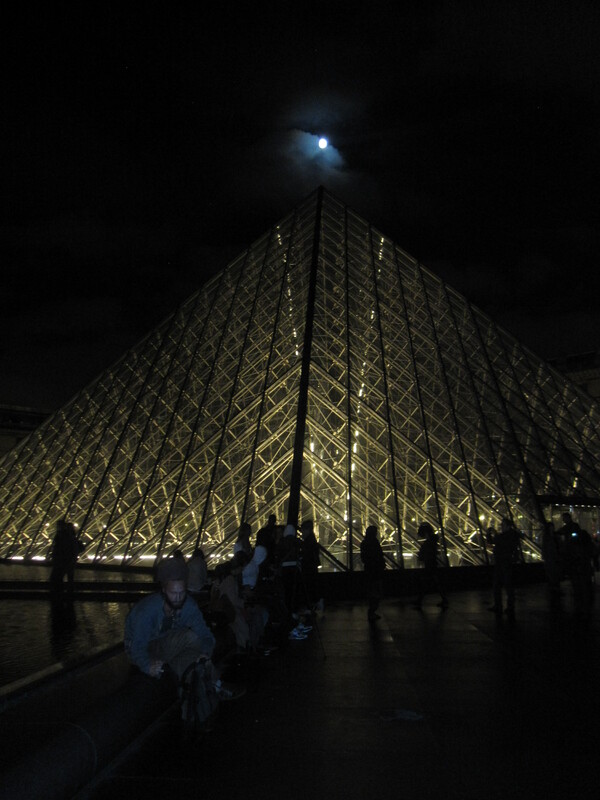 The good thing about visiting the Louvre at night is the lack of heavy crowds. Also, upon exiting the pyramid and the fountain were lit up, and it was really magical. 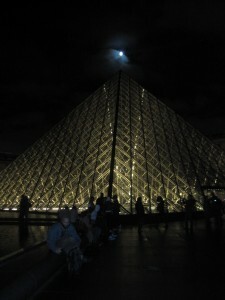 I’d definitely recommend a night visit to Louvre. We were sore and tired after five busy days of non-stop walking, so we decided to make today a chilled day. 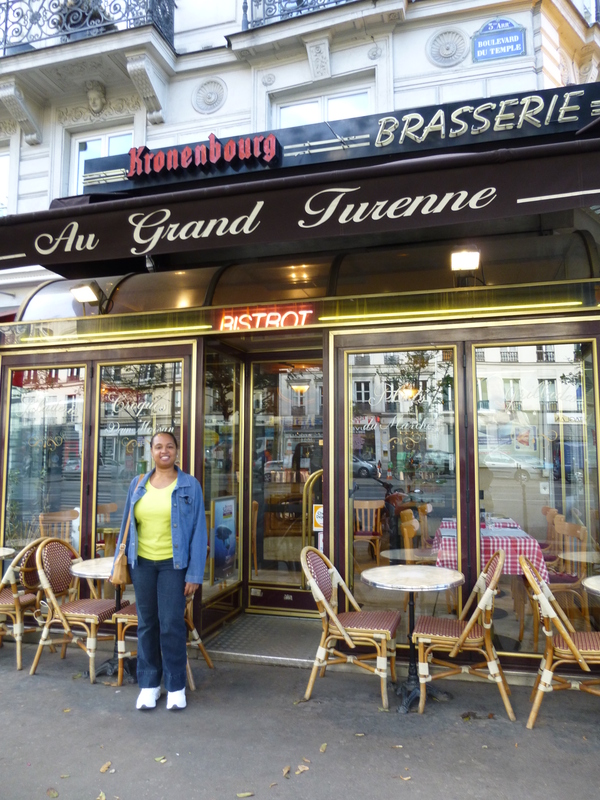 We took the Metro to the 1st arrondissement and eventually stopped at a little cafe where we ate outside, drank wine, and people-watched for several hours (you’ve got to love those long Parisian meals). Later, we went to a wine tasting class at O’Chateau Wine Tasting. This turned out to be a highlight of our trip. Our sommelier, Charlotte, was very personable and knowledgeable (having trained in Napa Valley, New Zealand and France) and she spoke perfect English. She schooled us on French wine labeling (by region instead of wine type), as well as the types of grapes grown and wines produced in different regions of France. We sampled a champagne, 2 whites and 3 red wines as we learned. It was a great experience and after 6 glasses we were feeling “nice” when we left. 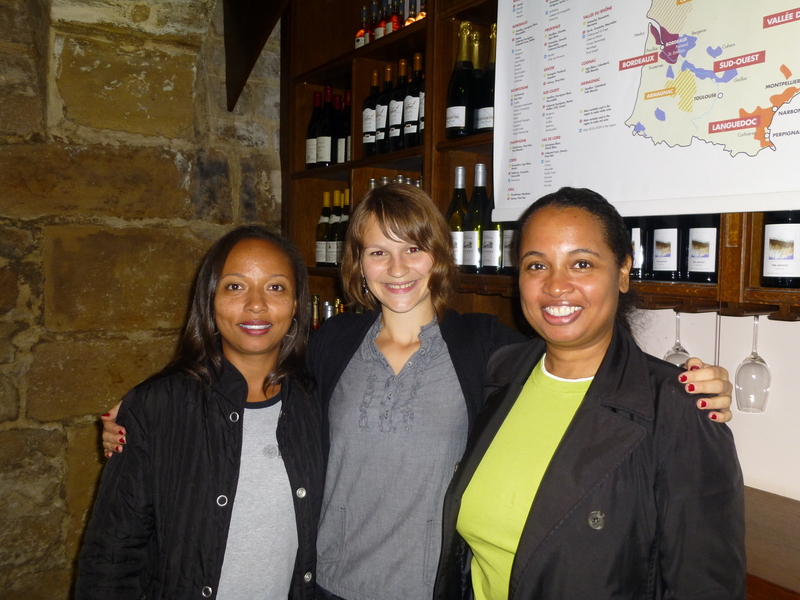 If you enjoy wine and want to learn more about French wines in particular, I highly recommend it (though I’d say go on your first or second day for maximum benefit). We had planned to go to Sacre Coeur today, but my feet were still too sore to climb all of those steps. So instead, we decided to go shopping. First, we went to Le Bon Marché Rive Gauche (7th arrondissement), one of the world’s first department stores. This place clearly caters to a high end crowd (think LV, Gucci, Hermes), so it was window shopping for us. The store spans several levels and is beautiful. 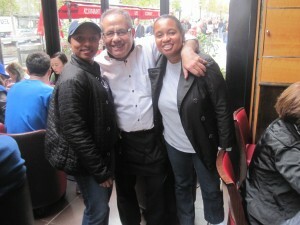 Next, we walked over to St Germain des Pres where we ate lunch and drank wine, then went back to shopping. We bought leather purses, chocolate, souvenirs and wine. As the day progressed, I found myself getting sad knowing this was my last full day in Paris. Back at the apartment, we rested and made dinner plans. We had been wanting coq au vin and finally found it at A la Biche au Bois, a restaurant specializing in wild game (12th arrondissement). We had a 9:00 pm reservation and when we got there, they remembered us as “the girls who want coq au vin.” The restaurant was full of Parisians so we figured that was a good sign. We were right – the food was delicious. It was a bit off the beaten path, but worth the extra walk from the Metro. 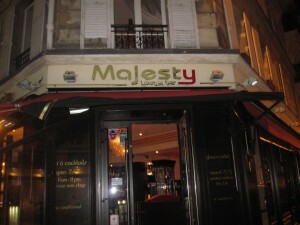 After dinner, we took the Metro back to the 1st arrondissement and went to Le Majesty Bar. We had a fun time hanging out with some Parisians and international members of the Polyglot Club (they have a weekly French-English exchange there). We left around 1:00 am, in time to catch the Metro before service stopped for the night. This was our departure day. We had an 11:00 am taxi pickup for the airport, so I headed out early for my last trip to the Artisan Boulange. When I got there, however, I was disappointed to see it was closed. 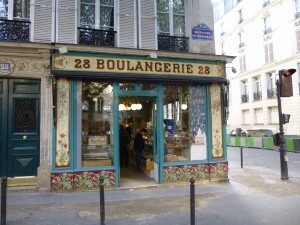 I walked around in search of another, and after three blocks, came upon the 28 Boulangerie. I walked in and entered into a visual delight; their display of pastries and desserts looked so scrumptious I hated I hadn’t visited sooner. Since it was my last day in Paris, I bought two croissants. This turned out to be smart, because they were even better than the ones at the Artisan. While walking back to the apartment eating my croissants, I reveled in the surroundings already trying to figure out when I’d be back. Now I understand why everyone falls in love with Paris.